The biggest difference between online slots and the kind found in land based casinos is the playing environment. In a brick and mortar casino, they are designed to be as distracting as possible. The more noise they make the better is the casino's attitude. Internet Casino games like those you can find at the best online casinos can be played in your pajamas in the comfort of your own home with only the distractions you allow. While playing slot machines online, you control the environment and the selection of games available is incredible with some versions offering huge jackpots worth millions of dollars. Players worldwide have voted slots as their favorite casino game. This is true for online slots players as well. One-armed bandits on the internet offer some of the best payouts available anywhere including Las Vegas casinos which pay out on average 94.65%. Some online slots payout over 97%. 5 Reel, 50 payline video slot. Includes Wild symbol & Scatter triggering a multi-level bonus feature. Win 100K max coins. Mega Moolah Summertime promises to earn you some major cash with a Wild, Free Spins, and four Progressive Jackpots (where you spin a wheel to win); this is the Season to bask in the glory of your winnings. The higher you bet the greater your chances of winning the progressive jackpot. Look out for the newest ghost busting superhero - Johnny Specter. Johnny is on the lookout for mischievous ghosts with one particular ghost on the top of his list. This helpful ghost roams the reels looking for a symbol to haunt by turning it wild which means more winning combinations for the lucky player. Gypsy Queen features sparkling graphics that help set this Microgaming video slot apart from the others. Throughout the game you will hear the romantic sounds of the Gypsy lifestyle including violins, accordions and Spanish guitars. While playing the game, you will be trying to hit the bonus feature where the beautiful Gypsy will display her amazing magical powers. Laura Croft got a huge makeover! This game is one the most elaborately crafted video slot games online today. Tomb Raider - Secret of the Sword brings all of the atmosphere of the video game and the movie into the most captivating slots games we've played - period. Aside from the amazing regular game play, Secret of the Sword also features 3 bonus games. One-armed bandits were invented in the late 1800's by a man named Charles Fey, but did not become popular until Bugsy Siegel installed them in his Flamingo Hilton hotel in Las Vegas, Nevada. Online slots play came onto the scene in the mid nineties. Slots owe a lot of their popularity to the fact that they can be played at the player's own pace with no skill required. They have evolved over the years from simple three reel machines with each reel containing 20 symbols to the random number generated machines in today's casinos with each reel sometimes containing hundreds of symbols. Now players can enjoy playing online slots without leaving their home and experience the same level of excitement and can even end up hitting a jackpot worth millions of dollars. Another popular type of slot machine primarily found in the UK is the fruit machine. Back in the mid 1960's in Britain, law makers deemed that in order for a prize to be awarded there must be a true element of skill for the games to be legal. So as long the game required at least a small amount of skill to win, then a payout could be made. Fruit Machines have since become a major cultural fixture in the UK and can be found in local pubs and amusement arcades. 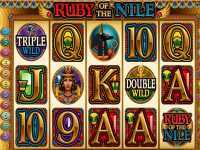 Online casinos now offer fruit machines that contain features that American slots do not including Nudges and Holds. These features remove a little of the luck factor. Online Casino Gambling is very popular right now and by far the most popular casino game is video slots. Online video slots include bonus games that add a great deal to the excitement and winnings. These bonus rounds consist of special games within the game and free spins. The huge wins for these types of slots games are usually found within the bonus rounds. 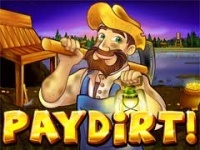 You can also play totally free slots by freeslots4u.com right from your browser with no downloads. One of the best ways to find the right casino to play online slots is to read an unbiased online casino review from an established and trusted casino portal. If you are going to play slots online, you have to pick the right casino from the start. 5 Reel, 25 payline video slot. Break the dam by triggering 2 different Free Game Features with triple prizes awarded. 5 Reel, 25 payline video slot in 3D! This is not one of those fake 3D slots, this one requires 3D glasses! Win 100K coins. 5 Reel, 9 payline classic style slot. Features include Wilds, Scatters and Power Spins. Win a maximum of 200K coins.